Last Thursday Apple seeded the first public beta of macOS High Sierra for non-developers to test the update. 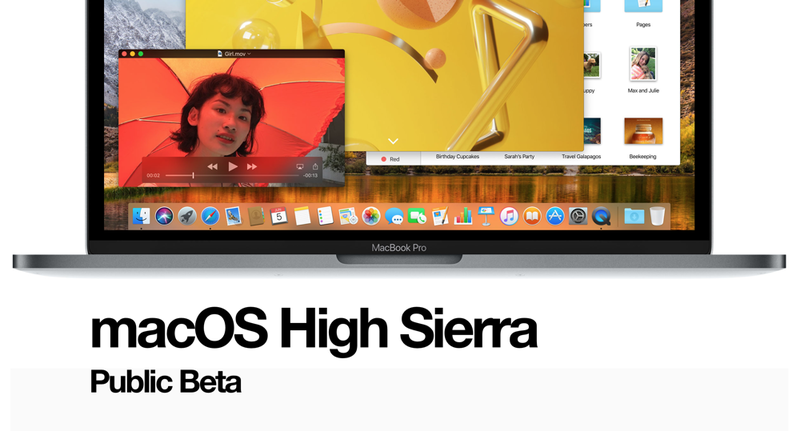 Testers who have signed up for Apple’s beta program can download and install macOS 10.13 through the Software Update mechanism in Mac App Store. If you are new to Mac but also want to try out the new features included in macOS High Sierra, you can follow the steps listed below to perform an installation. But before that, there’s something you need to know. Should I Install macOS High Sierra Public Beta? As it is a beta version of the next generation of macOS, there surely exist some bugs and could cause problems on your Mac, like frequent freezes or app malfunctions. So if it is the primary computer you are currently using, we do not suggest you to install the public beta on the Mac. Yet, if you do decide to test the update, or you have another alternative device, you can go on to experience the new features and also provide Apple with valuable feedback. First of all, you should make sure that your device is compatible with macOS 10.13, and then start with backing up your Mac. How to Back up My Mac with Time Machine? Before you install the update, make sure to back up your entire Mac to avoid any potential risk. To do so, connect an external hard disk to your Mac, then head to Apple menu > System Preferences and select Time Machine in System Preferences panel. As Time Machine launches, turn the slider from Off to On, then click Select Backup disk button and choose the disk. Time Machine will format the disk and start backing up. You can either use other backup software to make a copy of your current system files, so that you can revert the system when you decide not to use the beta on your Mac. How to Sign Up for the beta and Install Public Beta? Open your web browser on the Mac and navigate to beta.apple.com. Click the Sign Up button and sign in with your Apple ID and password. Click on Accept button in the software agreement window that appears. Scroll down to the Get Started section, and choose Enroll Your Mac link. Scroll down and click on Download macOS High Sierra Public Beta Access Utility. Open the downloaded file and double click on the .pkg file to install this tool. Follow the onscreen prompts to complete the installation of the utility, and then the Mac App Store will automatically launch and provide the public beta as a download. Now you can click on the Download button, and then run the installer located in the Applications folder to install the macOS 10.13 public beta from the install utility. As the Installer window pops up, click on Continue button. Click on Continue again when you are prompted to back up your Mac. Click on Agree twice to confirm the terms and conditions. Select the drive you want to install the public beta on. Click Install, enter your administrator password, and click on OK. The final release of macOS 10.13 High Sierra will be available in this fall.